The Constable Trust's remit is to acquire and, more importantly perhaps, preserve and display works of art with links to East Anglia. The Trustees are always happy to hear about such items, which may be neglected or in danger, and consider how the trust can help. The Constable Trust is able to give grants to Museums for the acquisition of works of art having a relationship with East Anglia. Information can be downloaded here and conditions can be downloaded here. 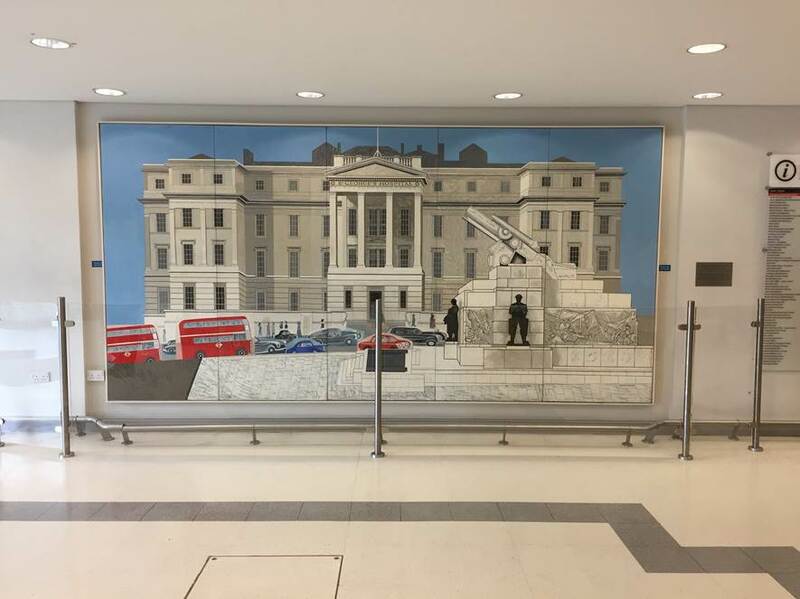 In 2017 The Constable Trust donated £1000 to St George’s Hospital, Tooting, towards the construction of a perspex barrier to protect the painting of the original St George’s at Hyde Park Corner by the East Anglian artist Edward Bawden. There is more information here. In 2017 The Constable Trust conserved and found a home for the the Bible/Book of Common Prayer belonging to Abram Constable, John Constable’s brother, given to him by his Godfather, Rector of Capel, in 1789 ‘his Godson being then six years of age'. The Book had been donated to East Bergholt Church via a circuitous route but there was nowhere to store or display it properly. 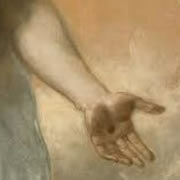 It is now displayed beneath the Constable Trust’s painting The Ascension by John Constable in St Mary’s, Dedham. In 2016 The Constable Trust contributed to the production of a leaflet by Gainsborough's House: The Landscape of Gainsborough and Constable, a guide which features ten locations of historic importance and highlights artworks by the two artists in Suffolk and Essex, relating them to the geographical sites which still exist today. The Ascension by John Constable, owned by the Constable Trust, is included in the guide. 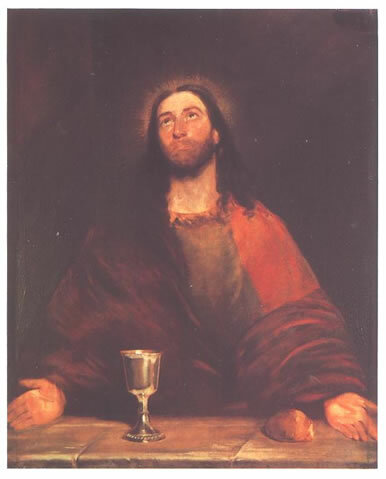 In late 2014 The Constable Trust funded the condition assessment of the Constable altarpiece Christ Blessing the Bread and Wine 1809 in St James's Church, Nayland. There are only three religious paintings by John Constable: The Ascension 1821/2, owned by The Constable Trust, originally in St Michael's, Manningtree and now in St Mary's, Dedham, this one still in situ in Nayland and Christ Blessing the Children 1805/6 originally in St Michael's, Brantham and now on loan to Emmanuel College, Cambridge. 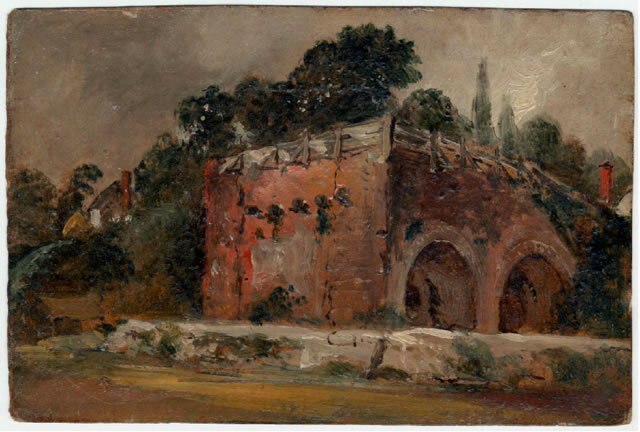 Also in late 2014 The Constable Trust granted £3,000 to Colchester and Ipswich Museums towards the purchase of John Constable's sketch A Lime Kiln with Lime Kiln Cottages beyond, beside the River Stour, between Dedham and Stratford St Mary, ca 1815-16. This further enhances the collection of Constable paintings at Christchurch Mansion, the most important in the UK outside London. More information here. In 2014 The Constable Trust granted £1000 to the Stained Glass Museum, located in Ely Cathedral, towards the conservation and display of four recently acquired stained glass panels by Geoffrey Clarke RA (1924-2014), a significant British artist who worked from a studio in Suffolk. You can follow the conservation on the conservator's blog here. In 2013 The Constable Trust granted £2500 to Colchester and Ipswich Museums towards the cleaning and restoration of John Constable's Millstream (ca. 1814) at Christchurch Mansion, Ipswich, to be ready in time for 'The Year of Constable' in 2015, the 200th anniversary of the painting of Constable's Garden pictures and the arrival in Ipswich of Constable's Salisbury from the Meadows, 1831, as part of the Aspire programme. More information here. The Rose and The Shaving Mirror by Edward Bawden. © the Estate of Edward Bawden. 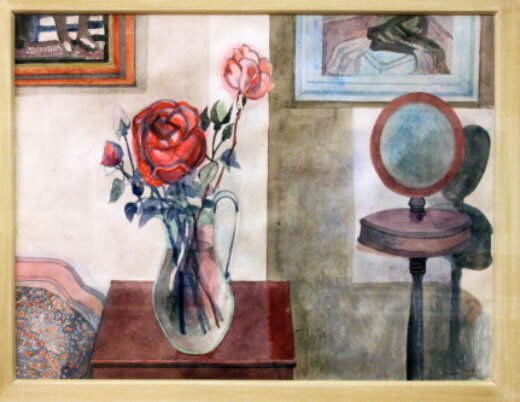 In 2012 the Trustees of the Constable Trust were pleased to have been able to assist the Fry Art Gallery in its purchase of the watercolour The Rose and The Shaving Mirror by Edward Bawden. Born in Braintree in 1903 and dying in Saffron Walden in 1989, at work on a linocut, Bawden is firmly rooted in Essex and is the cornerstone of the north west Essex collection at the Fry Art Gallery. He attended school in Saffron Walden and later attended the Royal College of Art where he later taught design. His long career spanned most of the twentieth century and bridged the gap between applied and fine art. More information here. In 2007 The Constable Trust helped find a suitable home for an interesting collection of chapel china. Such china, designed specifically for each chapel, was a feature of teas held after services in Nonconformist chapels from the 18th Century onwards. The collection, comprising about 80 specimens of tea services from Congregational, Methodist, Baptist and Presbyterian chapels, with a good proportion from East Anglia and the Midlands, was started in the 1960s by Mrs Helen Harris, the widow of a URC minister. Any additions to the collection, especially pieces from Essex, would be very welcome. Contact the Little Baddow History Centre for details.